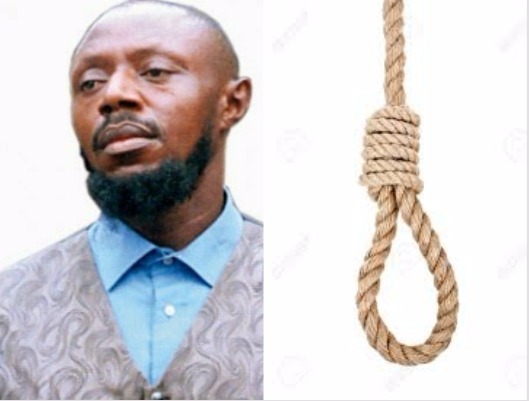 Akinwunmi Ambode has instructed the execution of inmates on death row in the state prisons, including the General-Overseer of the Christian Praying Assembly, Chukwuemeka Ezeugo, a.k.a Rev. King. 'The State Attorney General and Commissioner for Justice, Adeniji Kazeem, disclosed this at a news conference on Tuesday. According to him, the state had begun reviewing the matter after prison officials complained of the antics of some death row inmates who felt that they had certain rights which excluded them from being executed. Kazeem said: “Very soon, you will see the action of this government on that issues, we are reviewing the case on Rev. King and others on death row. He added: “Lots of people are on death row, Rev. King is not the only one on death row, it is on the instruction of Ambode that I visited the prisons recently and I discuss the issue with the prison officials and they expressed their concerns. The Supreme Court had on February 27, 2016 affirmed the death sentence passed on King by the Appeal Court. The condemned cleric was arraigned before the Lagos High Court in Ikeja on September 26, 2006, on six counts of murder of a member of his church, Ann Uzoh, and attempted murder of five other members. She was said to have been 65 per cent burnt in the fire incident. The trial judge, Justice Olubunmi Oyewole (now a Justice of the Court of Appeal), had in his judgement delivered on January 11, 2007, convicted Ezeugo and sentenced him to 20 years imprisonment on each of the five counts of attempted murder and death sentence for murder.